Jeff Green hit a buzzer-beater for the Celtics. Menino announced he’s stepping down. You made an appointment for someone to do your taxes. All big news around here. And tonight, you’ve got a date with your buddy’s sibling in Somerville. Wine. You need wine. Definitely. 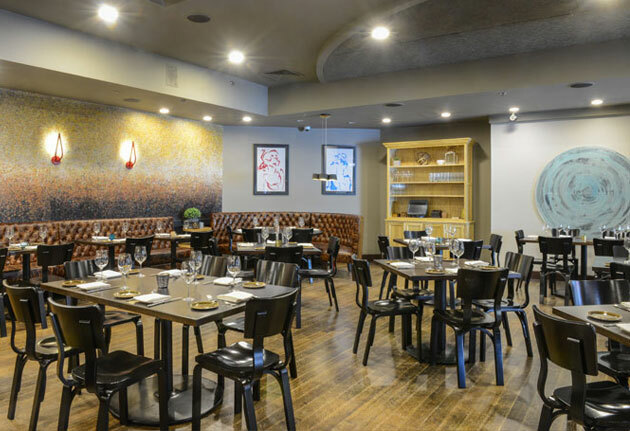 Right here: Spoke Wine Bar, a brand-new, well-banquette’d house of small-production wines and meaty small plates, opening tonight in Davis Square. This is a cozy, vino-heavy nook that mixes old and new. Read: original hardwood floors juxtaposed with fresh timber. Funky lights. And walls lined with locally manufactured felt (bold move, with so much wine flowing). Speaking of that wine: it comes mostly from small-production, old-world wineries. Prosecco from Italy. Pinot noir from France. Pinot gris from... Oregon (again, mostly old-world). You’ll pair it with small servings of house charcuterie, steak tartare and spicy lamb sausage, most of which employs meat from M.F. Dulock (hail, hail, the neighborhood butcher). But back to those felt walls: whether you’re sitting in the front banquette or at one of the low two-tops in back, you’ll be flanked by a wall that contains a layer of recording-studio-esque sound-absorbing foam, which allows for easy, intimate conversation between you and your date. No, that’s not an invitation to break out into song.